Cite page (MLA): Wisnicki, Adrian S., and Megan Ward. "LEAP (2013-2017): A Project History, Part II." Michael B. Toth and Nigel Banks, eds. Livingstone Online. Adrian S. Wisnicki and Megan Ward, dirs. University of Maryland Libraries, 2017. Web. http://livingstoneonline.org/uuid/node/9e853e69-ef25-40c6-bd0a-e296e3849c47. This essay sets out the second part of a history of LEAP: The Livingstone Online Enrichment and Access Project, the NEH-funded initiative that resulted in the development of the present Livingstone Online site and our critical edition of Livingstone's Final Manuscripts (1865-73). The essay combines text, images, and access to downloadable project documents to provide an intimate, behind-the-scenes look into project. The first part of the history can be read here. LEAP: The Livingstone Online Enrichment and Access Project was a four-year initiative (2013-17) to develop Livingstone Online and create a critical edition of Livingstone's Final Manuscripts (1865-73). This part of the project history focuses on the final two and a half years of the project (Mar. 2015-Nov. 2017), as the team moved the project from the UCLA Digital Library to the University of Maryland Libaries and released the alpha, beta, first, and second editions of the new version of the Livingstone Online site. The first part of the history can be read here. This two-part project history discusses each strand of LEAP and includes supporting documentation in the form of photographs and downloadable project documents. Collectively, these materials provide an intimate look into the development of the present site. It is our hope that the materials will serve as a resource for others interested in developing similar digital projects. The provision of these materials also grows out of our project's commitment to methodological transparency. In this spirit, the narrative closes with a summary of some of our principal project challenges and the lessons learned from those challenges. The LEAP team planned for the release of the alpha edition of the new Livingstone Online in March 2015. This version, rather than presenting the full site, would serve as a proof-of-concept for key elements. Although preparation had been underway for many months, site development accelerated in the opening months of 2015. However, development did not keep to schedule. The need for UCLA collaborators to learn facets of Islandora from scratch resulted in a series of delays. The LEAP team finally released the alpha version of the new Livingstone Online on 24 April 2015. This was a non-public release. The version included the basic site framework, including the home page, the six main sections pages (About This Site, In His Own Words, etc. ), and the content pages (specific essays and other articles). (Left; top in mobile) Page of David Livingstone, Letter to H. Bartle E. Frere, 1 February 1867. Image © Royal Geographical Society (with IBG). Used by permission for academic purposes only. For non-academic use permission, please contact the Picture Library. (Right; bottom) Page of David Livingstone, Letter to Joseph B. Braithwaite, 8 January 1872. Copyright National Library of Scotland. Creative Commons Share-alike 2.5 UK: Scotland. Due to issues with the alpha (Apr. 2015) and beta (June 2015) launches of the new site, Livingstone Online would not release such archival images until publication of the site's formal first edition (Aug. 2016). In other words, the alpha site conveyed the overall concept plus most of the critical content. At this stage, the site did not include the illustrative images that would accompany all written materials, the content of the Resources section (including outreach materials), and, most importantly, any form of access to the thousands of manuscript images and hundreds of encoded transcriptions that comprised Livingstone Online's core data. Moreover, not all links in the site functioned, and the site included a variety of browser incompatibility issues. Despite the shortcomings of the alpha launch, the team looked optimistically to the public beta launch of the site. The team planned for a handful of members (Adrian S. WisnickiAdrian S. Wisnicki (Associate Professor, University of Nebraska-Lincoln). Director of Livingstone Online, LEAP, and the Livingstone Spectral Imaging Project., Megan WardMegan Ward (Assistant Professor, Oregon State University). Co-director of Livingstone Online, LEAP, and the Livingstone Spectral Imaging Project., Kate SimpsonKate Simpson (Research Associate, Edinburgh Napier University). Associate project scholar and UK outreach coordinator for Livingstone Online., and Angela AliffAngela Aliff (Independent Scholar). Research assistant and interface designer for Livingstone Online.) to mark the launch with a visit to the David Livingstone Centre (22 June) and lectures at the National Library of Scotland (24 June) and the British Library (26 June). The team had already scheduled the launch for 24 June 2015 so the date served as a firm deadline for the beta release. Program manager Michael B. TothMichael B. Toth (President, R.B. Toth Associates). Program manager for LEAP and the Livingstone Spectral Imaging Project. and project director Wisnicki worked closely with colleagues at UCLA on outlining a Minimum Viable Product (MVP) for the release and on developing a new schedule that would ensure timely delivery. Wisnicki and Aliff also undertook the task of illustrating the site content with images, while Ward and Simpson worked with staff at the David Livingstone Centre to put the finishing touches on the outreach materials. (Left; top in mobile) Kate Simpson lectures during the Livingstone Online beta launch at the National Library of Scotland, 2015. (Right; bottom) Adrian S. Wisnicki (left) and Megan Ward (center, facing forward) speak with audience memebers before a lecture at the British Library, 2015. Copyright Angela Aliff. Creative Commons Attribution-NonCommercial 3.0 Unported. Unfortunately, the challenges that had plagued the development of the alpha release of the site resurfaced in the development of the beta site. Development proceeded in a halting fashion; the team did not meet a pre-release deadline of 12 June, which effectively closed the possibility of a thorough site review prior to public release; communication also became an issue with the status of several key tasks left undefined. As a result, when finally released, the beta version of Livingstone Online failed to meet a number of key expectations. The majority of these issues clustered around the publication of the core site data: high-resolution images, encoded transcriptions, relevant metadata, and archival packets. Several of the planned pathways into this data also remained only partly complete, including the Browse by Catalogue, Repository, and Timeline pages as well as the site's search capabilities. Most importantly, the manuscript viewer did not match specifications and failed to provide rights data, a key requirement necessary to assert the property rights of the many stakeholders who had provided images to Livingstone Online. Members of the team in the UK did not learn about some of these shortcomings until the day of the launch. Despite these challenges, the lectures marking the launch at the National Library of Scotland and the British Library proved to be a success. In a series of complementary presentations, WisnickiAdrian S. Wisnicki (Associate Professor, University of Nebraska-Lincoln). Director of Livingstone Online, LEAP, and the Livingstone Spectral Imaging Project., WardMegan Ward (Assistant Professor, Oregon State University). Co-director of Livingstone Online, LEAP, and the Livingstone Spectral Imaging Project., SimpsonKate Simpson (Research Associate, Edinburgh Napier University). Associate project scholar and UK outreach coordinator for Livingstone Online., and AliffAngela Aliff (Independent Scholar). Research assistant and interface designer for Livingstone Online. conveyed the significance of the overall project and described the team's accomplishments in encoding Livingstone’s manuscripts, developing the outreach materials, and creating the site design. The meetings at stakeholder institutions also enabled the team to review the outcomes of the previous year and a half of work and to consider the steps needed to take forward the second half of LEAP. Through these discussions it became clear that the team would have to make a major change in its strategy of site development. Kathy ChavezKathy Chavez (Web Developer, KappaLuppa, Inc.). Web developer for LEAP., the independent programmer hired by UCLA for the project, had done excellent work on the Drupal front end, i.e., the most solid part of the beta release, but the Fedora-based back end of the site still required considerable work. Bonus: Read about the beta launch on our Wordpress blog or view our Flickr images from the launch. The beta launch shortcomings represented the culmination of a year of problematic project development. After much internal discussion, the leadership of the LEAP team made a difficult decision. The team asked that the UCLA Digital Library step off the project. In making this decision, LEAP leadership was mindful of the considerable uncompensated time that UCLA had previously put towards the development of the original edition of Livingstone's 1871 Field Diary, a project that in many ways laid the foundation for the collaborative relationships of LEAP. The general Livingstone Online ethos also favored developing long-term relationships, not switching key project members midstream. Finally, dropping the library would also necessitate finding a new institution to host the project because the UCLA Digital Library was providing both site development and hosting for LEAP. Victoria Falls, Zimbabwe, 2016. Copyright Jared McDonald. Creative Commons Attribution-NonCommercial 3.0 Unported. In Missionary Travels (1857:520), Livingstone describes the falls by noting how he "peered down into a large rent which had been made from bank to bank of the broad Zambesi, and saw that a stream of a thousand yards broad leaped down a hundred feet, and then became suddenly compressed into a space of fifteen or twenty yards." Nonetheless, the LEAP leadership recognized its commitment to the National Endowment for the Humanities to spend federal funding in a responsible manner and to complete the funded work in full at the level of excellence promised in the original grant application. The leadership also took seriously the need to ensure that the considerable work of the twenty-odd members of the LEAP team, many of whom were junior scholars, reached full fruition in the publication of the new Livingstone Online. The problematic publication of manuscript image data through the beta release, which put the property rights of Livingstone Online's collaborating institutions at risk, provided the precipitating factor in the LEAP team's decision. The LEAP leadership looked for a speedy resolution, given that only a year and a half remained in the grant, but disentanglement proved more difficult than anticipated. Negotiations with UCLA stretched on, in fits and starts, over the second half of 2015, ultimately resulting in a six-month delay in the project, during which time much project work came to a standstill. In attempting to resolve the situation, the LEAP team consulted a variety of specialists, including NEH program officers, the staff of the Office of Research & Economic Development at the University of Nebraska-Lincoln, and a number of advisors and professionals both inside and outside the academy. Ultimately, the strategy of consulting multiple individuals produced a viable path forward; LEAP formally ended its relationship with the UCLA Library at the end of 2015. The University of Nebraska-Lincoln generously waived the remaining F&A on the project in order to make up for some of the funding lost to UCLA development. At the same time, Kay WalterKay Walter (Co-director, Center for Digital Research in the Humanities, University of Nebraska-Lincoln). Institutional contact for Livingstone Online., one of WisnickiAdrian S. Wisnicki (Associate Professor, University of Nebraska-Lincoln). Director of Livingstone Online, LEAP, and the Livingstone Spectral Imaging Project. 's supervisors at the University of Nebraska, reached out to a range of contacts and soon initiated a discussion with Trevor MuñozTrevor Muñoz (Director, Maryland Institute for Technology in the Humanities, University of Maryland Libraries). Institutional contact for Livingstone Online., then Associate Director of the Maryland Institute for Technology in the Humanities (MITH), about the possibility of hosting Livingstone Online through the University of Maryland (UMD) Libraries. This proved to be an important step forward. Hosting by the UMD Libraries opened the possibility of future collaboration with MITH, one of the leading digital humanities centers in the United States and also the lead developer of the Shelley-Godwin Archive, a key inspiration for the site design of the new Livingstone Online. Discussions moved swiftly. By the end of 2015, the Livingstone Online team formalized a collaborative relationship with the UMD Libraries and the team set January 2016 for the transition of Livingstone Online to its new hosting institution. The introduction of the University of Maryland (UMD) Libraries into the project resolved the issue of site hosting. During the process, Trevor MuñozTrevor Muñoz (Director, Maryland Institute for Technology in the Humanities, University of Maryland Libraries). Institutional contact for Livingstone Online. also put the LEAP team in touch with Liz CoburnLiza Coburn (Independent Programmer). Transition Lead and Information Architect for Livingstone Online., an independent programmer, who facilitated the transition to UMD and, later, helped the team explore options for both the site's Browse by Timeline and Location pages. Most importantly, Coburn introduced the team to Nigel BanksNigel Banks (Independent programmer). Lead developer and System Administrator of Livingstone Online., another independent programmer based first in Poland then England. Banks had previously worked for Discovery Garden (UCLA's vendor for Islandora) and indeed helped write a significant portion of the Islandora code. Banks proved to have the expertise needed to help the team move forward rapidly with back end development. The team also retained Kathy ChavezKathy Chavez (Web Developer, KappaLuppa, Inc.). Web developer for LEAP. who had done excellent work in a short period of time in providing the Drupal theming for the new Livingstone Online. Document in Google Drive used to to provide feedback on the work of Kathy Chavez in setting up the new Livingstone Online on the University of Maryland servers. Copyright Livingstone Online. Creative Commons Attribution-NonCommercial 3.0 Unported. Chavez and Wisnicki added colored highlighting, such as that seen here, to differentiate their comments to one another. From January to July 2016, integrated site development proceeded rapidly. The combined skills of Chavez and Banks resolved the issue of Islandora development capacity that had plagued the development of the alpha and beta versions of the new Livingstone Online. Weekly meetings between the two programmers with WardMegan Ward (Assistant Professor, Oregon State University). Co-director of Livingstone Online, LEAP, and the Livingstone Spectral Imaging Project. and WisnickiAdrian S. Wisnicki (Associate Professor, University of Nebraska-Lincoln). Director of Livingstone Online, LEAP, and the Livingstone Spectral Imaging Project. (and, later, Heather F. BallHeather F. Ball (Student Success Librarian and Assistant Professor, St. John's University ). Coordinating Associate Project Scholar for Livingstone Online.) addressed the need for regular communication, while also providing the interface between two different strands of core programming. The scale of collaboration on this project aspect – two programmers and a few scholars – also worked towards eliminating the challenge of managing a large development team. The team set reasonable goals for each week, then met regularly to monitor progress and adjust scheduling as necessary. A series of detailed wireframes (i.e., mockups) produced by Wisnicki guided each relevant aspect of development and theming. The team also tracked each strand of development distinctly in order to ensure optimization and to work to the strengths of each individual programmer. Formatting instructions for Livingstone Online's spectral image download page. Copyright Adrian S. Wisnicki. Creative Commons Attribution-NonCommercial 3.0 Unported. Once Banks implemented an iteration of a given site page, Wisnicki provided annotated screenshots of this sort to help guide theming and other development. The efforts of Chavez proceeded in a phased manner, with each phase managed through a separate Google doc that served as a sort of checklist. Chavez worked locally on her machine, then pushed up her changes to a unique dev version of the site on Amazon. Once changes were approved, she moved code up to the stage and prod versions of the site on UMD servers. In this manner, Chavez with feedback from WisnickiAdrian S. Wisnicki (Associate Professor, University of Nebraska-Lincoln). Director of Livingstone Online, LEAP, and the Livingstone Spectral Imaging Project. moved through the site cleanup necessitated by the transition between institutions, Drupal back end configuration, an array of theming adjustments, detailed refinement of the site's various Browse pages (particularly the Catalogue and Timeline pages), and the development of the entire tablet and mobile versions of the site. The team defined and managed the work of BanksNigel Banks (Independent programmer). Lead developer and System Administrator of Livingstone Online., by contrast, through a series of formal schedules and individual GitHub tickets. Banks worked on his local machine, but pushed his changes directly to the stage version of the site for review, then onto prod. Initially, Banks devoted the majority of his efforts to setting up the stage and prod versions of the site as a whole on the UMD servers and on configuring automated deployment, then turned his focus on making the manuscript viewer functionally and visually equivalent to the wireframes provided by Wisnicki. Banks followed up this work with a complex array of activities related to the ingest of archival packets, batch uploading and replacing of core data via FTP, the import of content from Fedora to Drupal, enabling sitewide searching, and, finally, setting up automatic data backups. The collective programming efforts of ChavezKathy Chavez (Web Developer, KappaLuppa, Inc.). Web developer for LEAP. and BanksNigel Banks (Independent programmer). Lead developer and System Administrator of Livingstone Online. resulted in a series of key project milestones over a short period of time. The first of these centered on the public release, at last, of the initial Livingstone Online digital collection on 21 June 2016. The release comprised 8000 images, 3000 metadata records, and 500 transcriptions (Note: these numbers would rise to 15,000 images, including 3,000 processed spectral images, and 780 transcriptions by August of the following year). The release marked the culmination of a twelve-year effort in building the collection. Additionally, the release provided multiple paths for accessing this collection. Users could now "sort [the] digital collection in complex and rapid ways [through the catalogue], view images and transcriptions through [the ...] new manuscript viewer, or download everything onto their own computers thanks to [the] archival packets," WisnickiAdrian S. Wisnicki (Associate Professor, University of Nebraska-Lincoln). Director of Livingstone Online, LEAP, and the Livingstone Spectral Imaging Project. wrote to the project team in an announcement email. The viewer and catalogue were also fully responsive, thereby opening up the site's core digital collection to parts of the world, such as Sub-Saharan Africa, where mobile technology often serves as the main access point to the internet. SOAS, University of London library, 2015. Copyright Angela Aliff. Creative Commons Attribution-NonCommercial 3.0 Unported. The release of the Livingstone Online digital collection in 2016 included a trove of Livingstone-related images from SOAS that archivist Jo Ichimura arranged to be given to the site pro bono. While the final phases of development on the University of Maryland servers were underway, Wisnicki and WardMegan Ward (Assistant Professor, Oregon State University). Co-director of Livingstone Online, LEAP, and the Livingstone Spectral Imaging Project. worked to update parts of the site that had not been reviewed since the beta launch. These included the file collections available for download through the Project Documents page, information presented on the Practices, Standards, and Arrangements page, and many of the critical essays published through the site. Angela AliffAngela Aliff (Independent Scholar). Research assistant and interface designer for Livingstone Online. led the drafting of an essay on site design that publicly documented the process by which the team created the new Livingstone Online, while Ward and Wisnicki crafted a piece on the theory behind Livingstone Online. The latter essay explicated the team's efforts to represent Livingstone's legacy in a reflective and critically-informed manner while addressing the challenges inherent in working with sensitive colonial source materials. The LEAP team published the formal first edition of Livingstone Online on 1 August 2016. This edition included the new essays on the site design of and theory behind Livingstone Online as well as a revised introductory section that clarified the site's mission as a digital museum and library. The site as a whole was now fully responsive and, additionally, offered multiple browse and search options for encountering the digital collection, including a fully redesigned Browse by Timeline page. Most importantly, despite the issues of the alpha and beta launches and the six-month exit negotiations with UCLA, the project team still managed to deliver the first edition of the site one full month ahead of the schedule set out in the original grant application to the National Endowment for the Humanities. This last accomplishment underscored the talents of the project developers, the commitment of the project leadership, the importance of the support from UNL's grant office, and the inspiration that the NEH had provided in funding the project in the first place. At the end of November, the project team learned that the formal first edition of the new Livingstone Online had been successfully peer-reviewed and accepted for inclusion by NINES, the leading digital resource aggregator for nineteenth-century literary studies. The anonymous reviewers were very positive in their comments and limited criticism to encouraging the project team to devote more time to copy editing, an aspect of the project that had indeed been neglected through the various phases of development. David Livingstone, Note Beside a Picture of a Tombstone from a Trade Catalogue, 1863-1865. Copyright David Livingstone Centre. Creative Commons Attribution-NonCommercial 3.0 Unported. An example of one of the more unusual manuscript items in the Livingstone Online digital collection, particularly notable in highlighting how Livingstone's colonial experiences shaped even his mourning for his wife Mary. One reviewer for NINES wrote that, "Overall, the website is an impressive achievement that has been designed to a very high standard. It has clearly received generous financial support and is the culmination of years of work by an experienced, skilled team with a range of expertise." The other NINES reviewer noted that, "The scholarship is first rate, both in terms of its curatorial oversight of the archival material and the essays that provide multiple historical contexts to that material (which range from Livingstone’s career to tropical medicine to African encounters with Christianity and colonialism). Scholars and students alike will benefit from Livingstone Online. They will find resources for various topics of current academic interest, including the cultural encounter between Europeans and indigenous peoples, the role of exploration in shaping scientific practice, the creation of modern celebrity culture and much more. In short, this is a superb resource." The publication of the new Livingstone Online represented a major step forward for LEAP, but a few significant project tasks remained undone. As a result, in mid-2016 the project team applied for a one-year grant extension. LEAP would now run to 31 August 2017, a full four years. With the extension in place, WisnickiAdrian S. Wisnicki (Associate Professor, University of Nebraska-Lincoln). Director of Livingstone Online, LEAP, and the Livingstone Spectral Imaging Project. and WardMegan Ward (Assistant Professor, Oregon State University). Co-director of Livingstone Online, LEAP, and the Livingstone Spectral Imaging Project. spent the last part of 2016 on finalizing the multispectral critical edition of Livingstone's 1870 Field Diary, a separate, NEH-funded initiative, but one made possible through the capabilities of the new Livingstone Online. The team released the beta version of the 1870 Field Diary edition on 16 November 2016 and the members of the project team marked the release with lectures at the Universities of Edinburgh and Oxford and at Queen's University Belfast. The 1870 Field Diary edition (2016-17) became the first independent edition published through Livingstone Online. Work on the diary edition also resulted in key enhancements to the site as a whole. BanksNigel Banks (Independent programmer). Lead developer and System Administrator of Livingstone Online., with feedback from Wisnicki, created a spectral image viewer for dynamic, synchronized review of spectral images and, separately, a multitext display page for comparative analysis of distinct text versions. Other modifications made possible the publication of critical editions through Livingstone Online and the ingest of spectral images into the Fedora repository. These enhancements enabled the subsequent addition of new editions to Livingstone Online, such as those of Livingstone's final manuscripts (2017, see below), Livingstone's manuscripts in South Africa (2018), and the manuscript of Missionary Travels (2019). The enhancements also paved the way for the integration of previously published multispectral editions of Livingstone's Letter from Bambarre (2010-11) and the 1871 Field Diary (2011-13). This integration, completed by Wisnicki and Ward in early 2017, fulfilled one of the most important, but outstanding objectives of LEAP. (From left) Livingstone Online team members Jared McDonald, Angela Aliff, Mary Borgo, and Justin Livingstone with friend of the project Jim Mussell (University of Leeds; foreground in purple shirt) at a Nebraska Huskers Red-White Spring Game, 2016. Copyright Angela Aliff. Creative Commons Attribution-NonCommercial 3.0 Unported. Breaks such as this strengthen collaborative relationships among team members. During the fall of 2016 and spring of 2017, members of the LEAP team also engaged in a number of activities designed to improve and expand Livingstone Online's data collection as a whole. WisnickiAdrian S. Wisnicki (Associate Professor, University of Nebraska-Lincoln). Director of Livingstone Online, LEAP, and the Livingstone Spectral Imaging Project. updated the site's metadata records by adding new information gleaned from online auction sites or found in the appendices to the Clendennen and Cunningham catalogues (1979, 1985). Lauren GeigerLauren Geiger (Graduate Student, University of Nebraska-Lincoln). Research assistant for Livingstone Online., Wisnicki's research assistant, reviewed all published transcriptions against the corresponding manuscript images, an endeavor that served as quality control for both the transcriptions and images. Finally, a subset of the Livingstone Online staff (Wisnicki, WardMegan Ward (Assistant Professor, Oregon State University). Co-director of Livingstone Online, LEAP, and the Livingstone Spectral Imaging Project., MartinAnne Martin (Archivist, David Livingstone Centre). Associate director of Livingstone Online., BallHeather F. Ball (Student Success Librarian and Assistant Professor, St. John's University ). Coordinating Associate Project Scholar for Livingstone Online., SimpsonKate Simpson (Research Associate, Edinburgh Napier University). Associate project scholar and UK outreach coordinator for Livingstone Online., LivingstoneJustin Livingstone (Research Fellow, Queen's University Belfast). Associate project scholar for Livingstone Online., KumariAshanka Kumari (Doctoral Student, University of Louisville). Research assistant for Livingstone Online., and BorgoMary Borgo (Graduate Student, Indiana University). Research assistant for Livingstone Online.) proofed and prepared for publication all legacy letters remaining from previous phases of site development (2005-13). Together, these efforts represented the final step in the development of Livingstone Online's site content and data through LEAP. Over the project's four years, these materials had now evolved from a series of heterogeneous files and separate publications (in the case of the multispectral editions) to a highly structured, refined, and integrated digital collection. Henceforth, the state of these materials would allow for dynamic and robust analysis by Livingstone Online's users, but also facilitate the addition of new materials or the amalgamation of Livingstone Online's materials with those generated by other, independent projects. 2017 also witnessed the end of the longest running LEAP initiative, the production of a critical edition of Livingstone's final manuscripts (1865-73). Work on this edition began with the drafting of the Livingstone Online TEI coding guidelines in October 2013 and the start of the editing and encoding of the relevant documents from the David Livingstone Centre (over 2000 manuscript pages) in March 2014. Megan WardMegan Ward (Assistant Professor, Oregon State University). Co-director of Livingstone Online, LEAP, and the Livingstone Spectral Imaging Project. guided the editorial work, with file integration and quality control provided by Heather F. BallHeather F. Ball (Student Success Librarian and Assistant Professor, St. John's University ). Coordinating Associate Project Scholar for Livingstone Online., while James CummingsJames Cummings (Senior Lecturer, Newcastle University). TEI specialist for Livingstone Online and the Livingstone Spectral Imaging Project. led the development of the guidelines. The team finished the encoding and initial proofing of the David Livingstone Centre's twelve field diaries (1863-73) in August 2016 and concluded work on the massive Unyanyembe Journal (1866-72), another of the Centre's key manuscripts, in November 2016. In late 2016, WisnickiAdrian S. Wisnicki (Associate Professor, University of Nebraska-Lincoln). Director of Livingstone Online, LEAP, and the Livingstone Spectral Imaging Project. undertook additional editing of the field diaries and relevant XSL and CSS files in order to enhance the online display of the transcribed manuscripts, while in early 2017, Ward, Ball, and Wisnicki made several more passes through the encoded text of the Unyanyembe Journal for the purposes of additional proofing, editing, and integration. Collectively, the foregoing work met the requirements of the original NEH grant application. (Left; top in mobile) David Livingstone, Observations Concerning Lake Nyasa Including a Pencil Sketch of a Fish Called a Sanjika, 1868-1870:. Copyright National Library of Scotland. Creative Commons Share-alike 2.5 UK: Scotland. (Right; bottom) David Livingstone, Unyanyembe Journal, 28 January 1866-5 March 1872:. Copyright David Livingstone Centre. Creative Commons Attribution-NonCommercial 3.0 Unported. These images illustrate how Livingstone could take up the same topic in very different ways during his final journey. The document of observations includes a full-page drawing of a "Sanyika" fish from Lake Nyassa, while the Unyanyembe Journal page includes a lightly annotated list of the fish of the Liebma River. However, the team also sought to enhance the forthcoming edition in several ways. Wisnicki and Ball edited and encoded a set of short "bonus" texts to be added to the edition. Ball also undertook a further round of reviewing extracted word lists, a stage of quality control beyond that promised in the original NEH grant. Finally, Wisnicki, Ward, and Lauren GeigerLauren Geiger (Graduate Student, University of Nebraska-Lincoln). Research assistant for Livingstone Online. encoded and thoroughly corrected the text-only Project Gutenberg version of the two volumes of the Last Journals (1874). This work resulted in a digital facsimile of the Last Journals that Livingstone Online users could access alongside the final diaries and Unyanyembe Journal. Access to these different manuscripts thereby opened a window onto the historical editing of Livingstone's final journey narratives through three distinct stages of production. As the editorial work proceeded, WardMegan Ward (Assistant Professor, Oregon State University). Co-director of Livingstone Online, LEAP, and the Livingstone Spectral Imaging Project. with Wisnicki's assistance also began the critical analysis of the diaries and the journal. Ward researched and wrote critical introductions to each of the twelve field diaries (drafted between March and August 2016), an extended introduction to the Unyanyembe Journal (completed in February 2017), an introductory overview to the diaries as a whole (finished in June 2017), plus notes for the bonus texts (also finished in June 2017). These introductions documented key events and themes in the final manuscripts and would serve as a gateway both for specialists and new readers. Two pages from David Livingstone, Field Diary, 23 August 1862-19 March 1863: -. Copyright National Library of Scotland. Creative Commons Share-alike 2.5 UK: Scotland. Integrated access through Livingstone Online to the final manuscripts and manuscripts from other parts of Livingstone's career, such as this field diary, illuminates the ways in which Livingstone varied his strategies for documenting geographical, meteorological, and other kinds of data during his final journey. The final phase of analysis (June 2017) produced additional essays to introduce the edition as a whole and to outline its scope. Work to illustrate the edition also led to the creation of a bonus section on the Aftermath of Livingstone's Death. This bonus section foregrounded a series of cultural contexts often left out in iconic representations focusing only on Livingstone himself. Finally, CummingsJames Cummings (Senior Lecturer, Newcastle University). TEI specialist for Livingstone Online and the Livingstone Spectral Imaging Project. collaborated with WisnickiAdrian S. Wisnicki (Associate Professor, University of Nebraska-Lincoln). Director of Livingstone Online, LEAP, and the Livingstone Spectral Imaging Project. to create a series of PDF-based reading copies of the diaries and journal that users could consult for informal analysis, while BanksNigel Banks (Independent programmer). Lead developer and System Administrator of Livingstone Online. provided some last minute assistance with back end technical adjustments. During the last six months of LEAP (June-Nov. 2017), BanksNigel Banks (Independent programmer). Lead developer and System Administrator of Livingstone Online. brought to conclusion a full scale retheming of the site, a task that ultimately involved changing 300,000 lines of code. This process, which fixed many small issues and changed the core structure of nearly every component of the site, had begun in October 2016 and had previously proceeded in fits and starts around other work. Once complete, the changes simplified maintaining and updating the site and encompassed: organizing and renaming fields and types; adding descriptions to the fields to make purpose obvious; and removing unused or abandoned components. Most importantly, the changes resolved an issue that emerged when the site was first set up at the University of Maryland, wherein altering any of the Drupal Features to support content types had been problematic. Banks's retheming now made it possible to configure the site so that it could be built from absolute scratch without relying, as previously, on deploying from database dumps. However, the retheming also entailed considerable testing and resulted in the discovery of various issues. Some, such as broken links, required manual resolution; others, arose only on deployment in a given environment, also required follow up work. Banks carried out this work while, concurrently, collaborating with WisnickiAdrian S. Wisnicki (Associate Professor, University of Nebraska-Lincoln). Director of Livingstone Online, LEAP, and the Livingstone Spectral Imaging Project. to optimize the various levels of the site. This involved fine-tuning the look and feel of these levels, improving responsiveness at all resolutions (particularly for level 2 pages), and making an array of adjustments to the manuscript, spectral, and multitext viewers as well as the Browse by Digital Catalogue Record, Repository, and Timeline pages. Banks also reconfigured the manuscript and spectral image viewers so that transcriptions could be embedded in the pages without iFrames, added alt text and titles to a variety of site elements in order to increase accessibility, rearchitected the dropdowns on critical edition pages, and created custom pages for Browse by Location and the Livingstone Online TEI P5 Encoding guidelines. Significant back end development complemented this front end work. Banks streamlined FTP import of core data into the site's Fedora layer and added the FileBrowser module while imposing a directory structure on the site's Drupal images. He also created a batch export process which converted all Drupal section pages and MODS archival records into NINES-compliant RDF files, thereby simplifying the process of updating site data on NINES. Finally, as this full-scale overhaul proceeded, AliffAngela Aliff (Independent Scholar). Research assistant and interface designer for Livingstone Online., in collaboration with Wisnicki, selected a new palette of site colors. These colors derived from the colors of the historical objects published in the Livingstone Online digital collection and so considerably improved the aesthetic continuity between materials archived in the site and the digital remediation of those materials. (Left; top in mobile) Livingstone Online Instruction Manual, cover. (Right; bottom) Livingstone Online Instruction Manual, troubleshooting section. Copyright Livingstone Online. Creative Commons Attribution-NonCommercial 3.0 Unported. The LEAP team supported the final retheming of the site with a few secondary activities. Justin LivingstoneJustin Livingstone (Research Fellow, Queen's University Belfast). Associate project scholar and UK outreach coordinator for Livingstone Online. reviewed and updated the site's bibliography in early 2017, while WardMegan Ward (Assistant Professor, Oregon State University). Co-director of Livingstone Online, LEAP, and the Livingstone Spectral Imaging Project. and WisnickiAdrian S. Wisnicki (Associate Professor, University of Nebraska-Lincoln). Director of Livingstone Online, LEAP, and the Livingstone Spectral Imaging Project. delivered a presentation on the project, "Livingstone Online: Access Beyond Openness," at DH2017 in Montreal in August 2017, the last in a series of academic and public presentations on the project. Finally, the team drafted the present, final part of the project history in order to outline the story of LEAP from the beta launch to the conclusion of the grant. Beyond the grant period, the team also hoped to send out announcements about LEAP's accomplishments to various academic listservs and newsletters and to solicit formal reviews of the site from a handful of academic journals. As a last step in the development process, Wisnicki put together a Livingstone Online instruction manual that walked through the back end of the restructured site and outlined the workflows needs to update and modify site content. The manual would facilitate future phases of development, but also serve as a primer for site staff not fully conversant in all aspects of Livingstone Online data development practices. Wisnicki, with assistance from Ward, BanksNigel Banks (Independent programmer). Lead developer and System Administrator of Livingstone Online., and SimpsonKate Simpson (Research Associate, Edinburgh Napier University). Associate project scholar and UK outreach coordinator for Livingstone Online., completed the manual in November 2017 and published it through the site. This 340-page document included nearly 300 screen shots and detailed every staff-side workflow needed to update the site and core data, thereby making a key contribution to promoting the long-term sustainability of the project. LEAP brought together a project team of over 20 specialists and institutional contacts, many formal and informal advisors, and the representatives of an array of international stakeholders and collaborating institutions. The project focused on vast amounts of both legacy and new materials, including image and transcription data and metadata; involved the integration and overhaul, top-to-bottom, of everything related to the Livingstone Online site; and concluded with the publication of a large-scale critical edition of Livingstone's final manuscripts plus a full retheming of the site, among other activities. Such a scale, agenda, and ambitions could not be engaged without challenges. The greatest challenges to project development and the most important lessons learned emerged in five different areas: managing the project, developing the data, balancing time commitments, adhering to project ethos, and navigating institutional contexts. Adrian Wisnicki and Kate Simpson chat about next project steps on the grounds of the Duke of Hamilton's 18th century hunting lodge, 2015. Copyright Angela Aliff. Creative Commons Attribution-NonCommercial 3.0 Unported. ▲ 1. Managing the Project. Appropriate management of multiple individuals from multiple institutions proved to be the single most difficult element in the overall development of LEAP. On one hand, the project team was LEAP's greatest strength. The size of this international team and its exceptional commitment to Livingstone Online – very often on a voluntary or part-voluntary basis – enabled the work to move forward at an exceptional scale and speed. On the other hand, working with the project team also required diligent management of diverse responsibilities, interactions, and production paces. For instance, the distribution of interdependent tasks across many individuals, institutions, and time zones could result in bottlenecks with formidable knock-on effects. The key lessons learned in this aspect of the project were to allow for substantial management reserve in the program plan and to build in regular, short-term progress checks. The team also found that breaking up long-term objectives into much smaller increments led to success in even the most ambitious of activities. Mindfulness of these lessons, particularly in the lead up to the publication of the first edition in 2016, enabled the team to make up for lost time and proceed at a formidable pace. ▲ 2. Developing the Data. The LEAP team took up the formidable task of managing legacy data produced over a ten-year period, during which time digital library and digital humanities "best practices" were ever evolving. The Livingstone Online data derived from a complex set of sources, had been produced to diverse sets of standards (including file naming standards), and ranged between one and three terabytes of information at any one time. Dealing with this data, particularly on a day-to-day basis, proved to be another challenging aspect of LEAP. This aspect also resulted in a number of important lessons. The team learned that data management plans should be implemented in stages with plenty of testing built in in order to ensure continuous quality control. The team also discovered that substantial resources and time should be allocated in the budget and schedule for dedicated data management, more even than anticipated in a worst case scenario. For example, WisnickiAdrian S. Wisnicki (Associate Professor, University of Nebraska-Lincoln). Director of Livingstone Online, LEAP, and the Livingstone Spectral Imaging Project. and KumariAshanka Kumari (Doctoral Student, University of Louisville). Research assistant for Livingstone Online. 's work on initial data review took three times as long as initially anticipated, and Wisnicki ultimately had to purchase and maintain his own five terabyte server after the team exceeded the storage limits of the UNL Spacely server. The second phase of LEAP involved yet another, partly unanticipated stage of full-scale data review and development. All of this extra effort had to be accommodated in the project. Two pages of David Livingstone, Letter to Agnes Livingstone 3, 24, 27 November 1865. Copyright National Library of Scotland. Creative Commons Share-alike 2.5 UK: Scotland. Intensive review of Livingstone Online's image data revealed the numerous material variations among Livingstone's manuscripts and, in some cases, within his manuscripts. ▲ 3. Balancing Time Commitments. The time commitment for LEAP overall and on a week-to-week basis proved to be much larger than anticipated, particularly for the project leadership. Though LEAP team members – paid and volunteer – worked diligently, the scope of the project proved bigger than initially conceived and required a constant battle against scope creep. When the project went off schedule, as it did prior to the beta launch of the new site, the strain on project management resources became intense and drew efforts away from other planned activities. As a result, the team discovered that for future projects ongoing reviews of all activities would be essential to ensure insight into schedule and resource impacts. Moreover, it became apparent that complex aspects of development would be better tackled through a series of sequential grant efforts that enabled the team to "breathe" between phases. Likewise, the team felt that a somewhat scaled down approach (particularly in terms of personnel) might not be amiss, and, indeed, such downsizing could be turned to advantage by creating more funding to cover fully the time of any given team member. Again, attention to these latter lessons proved one of the keys to the successful conclusion of LEAP activities in the final stages of the project (2016-17). ▲ 4. Adhering to the Project Ethos. The LEAP team, particularly its leadership, sought to run the project in a transparent and accountable manner. The approach derived from the facts of Livingstone Online a) being a public-facing project, b) relying on public funding from the National Endowment for the Humanities, c) being directed from public institutions such as the University of Nebraska-Lincoln and Oregon State University, and d) collaborating with publicly supported archives such as the National Library of Scotland and the David Livingstone Centre. Because of these factors, the approach required considerable and continuous reflection not only on meeting the stated goals of LEAP, particularly from a technical point of view, but also on understanding the practical, theoretical, and cultural implications of any given project endeavor, research question, or source material. The project team learned that the optimal approach combined honest acknowledgment of the challenges faced with a thorough investigation of the options available, often in discussion with others, plus the intellectual commitment to implementing the best practice solution. The successful transfer of Livingstone Online to a new hosting institution, for instance, required frank consultation with an array of professionals both to gain perspectives not otherwise available to the team and to find a viable path to disentanglement and transition in the face of considerable opposition. The site's critical materials evolved to acknowledge the complexities of developing a digital museum and library centered on culturally sensitive materials. Even the use of historical illustrations became the subject of ever more focused critical mediation, as the team sought to get audiences to engage with Livingstone's historical contexts in an informed manner rather than falling back – in analysis of the source materials – on a framework that privileged the mythos of the imperial hero. ▲ 5. Navigating Institutional Contexts. The work of LEAP drew on the efforts of a wide range of scholars and independent consultants, and the project functioned best at the level of individual collaboration. Many collaborators cited the professional relationships developed through LEAP as being one of the most rewarding aspects of working on the project. However, a grant on the scale of LEAP could not operate without an institution (University of Nebraska-Lincoln [UNL]) to administrate the project funding on a regular basis while ensuring compliance with federal regulations. The project team at first also envisioned that site development would require an institutional team (UCLA Digital Library) for successful implementation. That said, the institutional context emerged as one of the most difficult facets for the LEAP leadership to navigate. On a positive note, running the grant through UNL removed what would otherwise have been a considerable administrative burden on the project team. 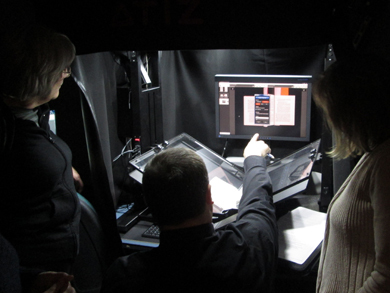 UNL also threw the project a lifeline when the leadership of UNL's Center for Digital Research in the Humanities arranged the collaboration with the University of Maryland Libraries in the first place. Additionally, UNL waived the remaining F&A after the beta launch and provided considerable consultation during the transition of Livingstone Online to Maryland. Likewise, both UNL and UCLA provided significant cost sharing on the project, a key component of the budget submitted to the NEH. These were all important project contributions. Yet these institutional relationships also created significant challenges for the LEAP team, particularly in moments when elements of the Livingstone Online code or, more narrowly, basic project ethos (see previous point) came into conflict with institutional practice. The LEAP team devoted considerable attention to documentation and to developing agreements, in writing, that had the buy-in of all relevant parties, yet the project leadership came under significant pressure at different moments to alter such agreements when institutional contexts changed, evolved, or were revised. Requests by the LEAP team for outside review or accountability and attempts to adhere to written agreements could be met with hostility, sometimes long-term hostility. Several lessons emerged out of this facet of project development. These included the need to tread cautiously in building collaborative institutional relationships, to put everything in writing while acknowledging the limits of even the best documentation, and to understand that running a federally funded project to high standards of transparency could at times require significant determination and even courage in the institutional context. Yet through the process, the LEAP leadership also learned that Livingstone Online had (and continues to have) many friends who respected the project's objectives and were ready to provide support in various forms. The majority of institutional collaborative relationships also proceeded smoothly, beginning to end, in ways that benefitted both the project and the given institution. Despite the challenges cited above, LEAP ultimately resulted in the full redevelopment of Livingstone Online's core data and critical materials, a complete redesign and rearchitecting of the site, and the publication of a major critical edition of Livingstone's final manuscripts. In November 2017, the project team released a second edition of the new site and submitted the final project report to the National Endowment for the Humanities. Together, these accomplishments met and, in many cases, exceeded the requirements of the original grant application narrative submitted in 2012. The accomplishments, as this project history illustrates, grew out of a series of small, cumulative, and interlocking steps that together constituted one giant leap for Livingstone Online.